From the start, George Eastman sold photographic packages--cameras and film. It might be more accurate to say that he rented the cameras and sold the film and processing. In the glass-plate era, photographers did their own processing, since processing began by preparing the emulsified wet plate prior to the exposure, but Eastman correctly reckoned that if photography was ever to grow into a populist activity it had to be easier than mounting a couple of hundred pounds of cameras and portable darkroom equipment on a burro for a trek into the Sierras. His first innovation was dry film loaded into a camera that the photographer bought, shot the roll of film, returned it to Kodak for processing and awaited a reloaded camera returned with finished negatives and prints. Professional photographers and a growing number of advanced amateurs who wanted more personal control over film processing and print making represented a market for photographic paper and chemicals that Kodak was glad to exploit and Kodak's market for photosenstitive materials and chemicals grew to accomodate users from Boy Scouts to large industrial users. 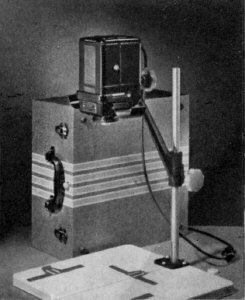 By the period covered by this site--the last half of the 1930s through the mid-1950s--Kodak was the major supplier of home and small business darkroom equipment. Even small communities had at least one portrait photographer, providing a broad market for view cameras, enlargers and other film processing and printing equipment. Quality commercial images required large format equipment--at least 4 x 5, and most studios used 5 x 7 and 8 x 10 cameras for portaiture. These negatives required large enlargers, like the Eastman (Kodak) Auto Focus enlarger, shown at the left. 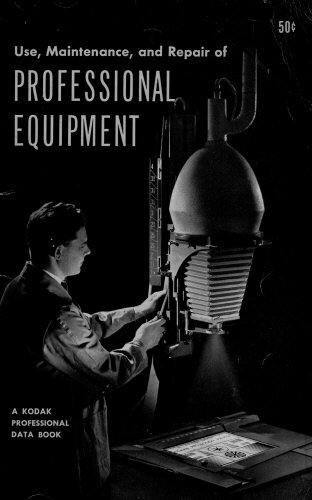 By the late 1940s, Kodak offered a varied range of enlarger equipment for small commercial and home darkrooms. The down-sized, less expensive home units often benefitted from features and quality standards in the commercial line made possible by the large scale production of the line for home darkrooms. Candid photography was considered important by the American government during WW II as family snapshots were seen as a way to maintain troop morale, so camera equipment and supplies were not as rationed as materials for some hobbies. During WW II, Kodak had increased production of equipment and supplies for defense and, as in many American industries, these manufacturing resources were turned toward the consumer market at the close of the war. Bessler and Omega would eventually invade the American home and small-business enlarger trade, but European manufacturing and marketing had to recover from the war, allowing Kodak to maintain its vast American market share in the immediate post-war years. Post WW II hobbyists typically worked with three film formats--35mm, 120/620 and 6 x 9 and 4 x5 sheet film. Kodak had traditionally made wood framed enlargers, but during the Kodak Golden Age, Kodak migrated to metal construction in both professional and amateur enlargers. 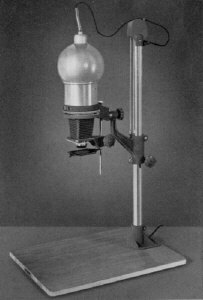 From roughly 1940 to 1950, there were several enlarger models to attract the hobbyist. 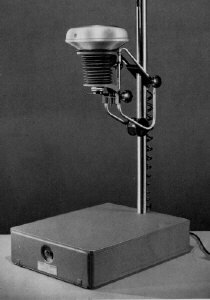 The Portable Miniature Enlarger was an exception to metal construction, with a Bakelite body mounted on a metal post; the outfit included an integrating dedicated case and was probably attractive as much because, for those whose darkroom was a darkened bathroom, the case provided a safe and compact place for the enlarger when it wasn't set up. 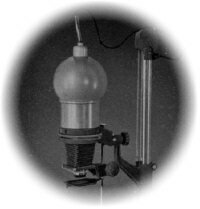 The Advance Enlarger was described by Kodak as "not as pretentious" as the Precision. It will handle negatives up through 3 1/4 x 4 1/4 and has a base and post arrangement similar to that of the Precision, has a diffusion type head and a combination negative carrier that uses masks. The primitive set of paper clamps in the baseboard creates only two-sided borders. The Kodak Autofocus enlarger allows resizing without refocusing in a range of 1.5x to 3.5x. In manual focus mode it works in a range from 2.25x to 12.25x. It handles negatives up to 4 x 6 and has two illumination levels. 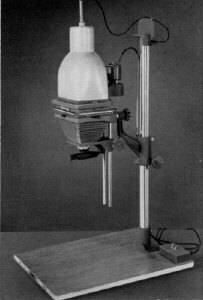 Both of these enlarger models appear in a c. 1940 Kodak publication, but were not listed in a 1948 brochure on Kodak enlarging equipment. 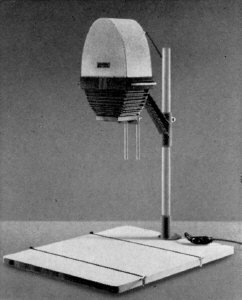 In the 1950s, the downsizing of film stocks, European competition and Kodak's drift away from the quality camera market showed in its enlarger offerings. The Kodak Flurolite replaced the small Precision configuration and was generally equivalent in quality with a similar list of accessories. A new entry level Kodak Hobbyist, with minimal features, was introduced. Both had coldlight heads that reduced heat transmitted to negatives. 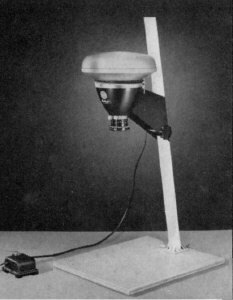 The Precision Enlargers were built around a modular design and both the 6 x 9 cm model and the 4 x 5 inch model shared a common post and base design. The lens board, bellows, negative gate and heads were different. 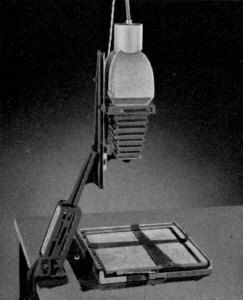 This design also allowed Kodak to make and offer many accessories, including interfaces to film holders and Kodak cameras that could be used for copying and tabletop photography.